Regulations regarding the courses of Studies under Term System and Examinations under External Examiners System for the degree of Bachelor of Engineering (B.E. ), Bachelor of City & Regional Planning (B.CRP.) and Bachelor of Architecture (B.Arch.) of Mehran University of Engineering & Technology, as provided under Section 47 (1) (a) of the Act: 1977. 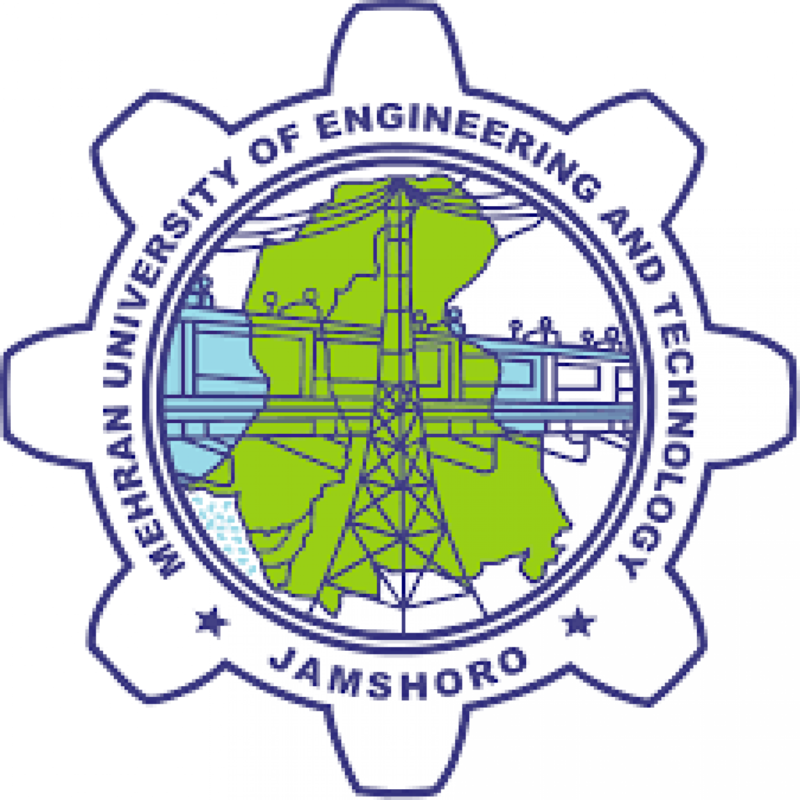 Short Title: – These Regulations may be called Mehran University of Engineering & Technology, Bachelor of Engineering (B.E. ), Bachelor of City & Regional Planning (B.CRP.) and Bachelor of Architecture (B.Arch. ), Degree Courses Regulations *amended 31st May 2003, repealing such Regulations framed by the University authorities or otherwise (if any). These Regulations shall be subject to Mehran University of Engineering and Technology General Scheme of studies for Bachelor of Engineering, Architecture and Planning Degree Course Statutes 1992. Commencement: – These Regulations shall be deemed to have come into force with effect from 31st May 2003. “University” means the Mehran University of Engineering & Technology. “Academic Year” means the Academic Year of the University. “Term” means a period of 22 weeks out of an academic year for teaching and evaluation and/or guidance of the students of the University. “Examination” means Final Examination held at the end of the Term. “Vice Chancellor”, “Pro Vice Chancellor” “Dean”, “Director/CoDirector”, “Chairman”, “Teacher” and “Controller of Examinations” means respectively the Vice Chancellor, the Pro Vice Chancellor, the Dean of the concerned Faculty, the Director/Co-Director of the concerned Institute, the Chairman of the concerned Teaching Department, the Teacher and the Controller of Examinations of the University. “Internal Examiner” means the teacher/person appointed by the competent authority, who has been teaching the subject to the regular class/section during the academic year for which the examination is being conducted. * Amended by the Academic Council vide Resolution No. 58.1 (g) dated 28th January, 2004 and approved by the Syndicate vide Resolution No. 91.21 dated 7th February, 2004. “External Examiner” means a person holding Master’s Degree or Ph.D. or at least Senior Graduates of Public/Private organizations with minimum 15 years professional experience holding senior executive post in the relevant discipline, who is neither a Teacher in the University nor has taught the subject(s) to the class/section during the Academic Year for which the examination is being conducted and is appointed by the competent authority from Public and Private chartered Universities/Organizations from Sindh Region or otherwise from various provinces of Pakistan if expertise are not available in the field from Sindh Region. The courses of studies for the degree of Bachelor of Engineering (B.E. ), Bachelor of City & Regional Planning (B.CRP.) and Bachelor of Architecture (B.Arch.) shall be as given in the Regulations, which follow, provided that these Regulations shall be subject to change as approved by the Academic Council of the University from time to time. a) First Year, Second Year, Third Year and Fourth Year for the degree of Bachelor of Engineering (B.E. ), Bachelor of City & Regional Planning (B.CRP.) each shall be of ONE Year duration (Total 4 Years) and each year shall comprise Two Terms. b) First Year, Second Year, Third Year, Fourth Year and Fifth Year for the degree of Bachelor of Architecture (B.Arch.) each shall be of ONE Year duration (Total 5 years) and each year shall comprise Two Terms. c) The duration of each term shall be 22 weeks distributed as 16 weeks of actual teaching & 02 weeks for preparation leave for examinations and 04 weeks for conduct of examinations and compilation of results. d) There shall be a break of at least one week between two terms. Each Degree Program shall carry a number of approved courses and each course shall be assigned a number of marks. Total marks for each Term shall be 500-800, whereas total marks for all 8 terms of B.E./B.CRP shall be 5000-5500 and for all 10 terms of B.Arch. shall be 6500-7000. Each Institute/Department concerned will have a Departmental Committee consisting of three senior most teachers of the Institute/Department including the Director/Co-Director/Chairman, which will assess the progress of the students during the term. Sessional Work consisting of class tests, assignment and laboratory work. MODULE OF BIFURCATION OF MARKS FOR PRACTICAL EXAMINATION. ATTENDANCE REQUIREMENT (i) A student must have at least 75% average attendance, so as to be eligible to appear in the Term Examination. (ii) In genuine cases, maximum 10% condonation in attendance shall be the discretionary powers of the Pro Vice Chancellor on the basis of an application to be scrutinized by Director, Co-Director / Chairman concerned and routed through respective Dean of Faculty. (iii) The attendance of newly admitted students of First Term of First Year Theory/Practical be calculated from the last changed discipline to determine the eligibility of the students to appear in the First Term Examination. APPLICABLE TO LATE ADMITTED STUDENTS OF FIRST TERM OF FIRST YEAR. (a) 10/5 marks of assignment for subjects carrying 100/50 marks shall be awarded by the teacher concerned after conducting 3/2 class tests (MCQ Types) and 2/1 best of 3/2 class tests shall be counted towards award of 10/5 marks. The entire record of evaluated class tests shall be submitted by the concerned subject teacher to Examinations Department at the time of submission of sessional marks. (b) At the end of each Term, the marks of attendance, sessional work and lab. work secured by a student in Theory and Practical of the concerned subject shall be announced by the concerned subject teacher by displaying on the Notice Board. three copies to the Controller of Examinations before the commencement of the Term Examination. (d) The result of each subject of the Term Examination shall be prepared in TRIPLICATE by Internal/External Examiners separately which will be forwarded to the Controller of Examinations in the sealed envelopes. (e) The cumulative result (including all the marks of attendance, class tests, lab. Work and Term Examination) of each term of a year shall be announced by the Controller of Examinations. (i) The Internal and External Examiners of both Theory and Practical in Regular /Supplementary Examinations shall be appointed by the Vice Chancellor on the proposal of the Departmental Committee and recommendations of the Board of Studies of the concerned Institute/Department through Dean of concerned Faculty who will recommend the Panel of Examiners to the Controller of Examinations. (ii) The Internal Examiner for the Theory paper will set the Question Paper in duplicate which shall be sent to the External Examiner, along with a copy of syllabus in Sealed Envelope by the Controller of Examinations, who shall set the final question paper *within minimum limit of 25% and maximum limit of 50% moderation/change of the total number of questions. The Internal Examiner will set question paper four weeks before the commencement of Term Examination. (iii) In specific cases, if the question paper is not submitted by the External Examiner two days before the date of commencement of Term Examination, the question paper set by the Internal Examiner shall be deemed final subject to approval of the Vice-Chancellor/Dean of concerned Faculty. (iv) The choice of attempting the questions shall be limited to a maximum of 60% i.e. Five (05) out of Eight (08) questions to be solved by the students. The question paper shall comprise various sections in exceptional cases determinable as per nature of the course. moderated by External Examiner concerned as per procedure already applicable for Theory Examination. ——————————————————————————————– * Amended by the Academic Council vide Resolution No. 57.7 dated 13th December, 2003 and approved by the Syndicate vide Resolution No. 91.27 dated 7th February, 2004. Fill in the Blanks, True or False, Multiple Choice Questions (MCQs), Definition of Technical Terms, Drawing Skill Oriented Questions and Interpretation of Diagrams. (iii) The duration for conduct of Objective Type Test shall be Minimum 30 Minutes and Maximum One hour and total number of questions to be set as per part (ii) above shall be 30, 40, 50, and 60 for question papers carrying 10, 20, 30 and 40 marks, respectively. (i) The scripts of Theory Examination shall be sent to the concerned External Examiner first and thereafter the scripts shall be assessed by the respective Internal Examiner. Both the examiners will send the award lists (in triplicate) to the Controller of Examinations separately. (ii) The average of the marks of the Internal & External Examiners shall be awarded to the candidates. In case the variation in the award of marks of Internal & External Examiners exceeds 20% of the marks assigned to the Term Examination, the matter shall be referred to the Dean of the concerned Faculty for final decision. (i) The Objective Type Test, Practicals and Viva-Voce Examinations shall be conducted jointly by the Internal & External Examiners appointed by the Vice-Chancellor. The Signature sheets of Examines for conduct of Objective Type Test and Viva-Voce/Jury shall be maintained separately and the same shall be submitted to the Examinations Department for office record by the Examiners. The award lists signed by the both Examiners shall be submitted in triplicate under sealed cover to the Controller of Examinations along with assessed scripts of Objective Type Tests and Practical Examination. (iii) In case External Examiner No. 1 is not available on the Scheduled date(s) of the examination the External Examiner No. 2 shall be contacted and called for examination. a) During the Term immediately preceding the examination, he/she has been on the roll list of the concerned Institute/Department of the concerned Faculty. b) He/she has submitted his/her Examination form duly filled-in completely along with the prescribed fee to the Controller of Examinations within the due date announced by the University. c) He/she has produced the following certificates duly signed by the Director, CoDirector/Chairman of the Institute/Department concerned. (ii) Photo state copy of Enrollment Card. d) He/she is not debarred from taking the examination. and Research & Development Project in the Final Year shall be 50%. (A Theory or Practical would be treated as separate Heads). (ii) A candidate having passed all the Heads of Both Terms from 1st to Final Year B.E./B.CRP./B.ARCH. with minimum 50% aggregate marks shall be declared “PASS”. If any student is not able to get 50% aggregate marks even after having passed all the Heads, he/she shall be promoted but must improve the Heads of his/her choice to secure at least 50% aggregate marks. (iii) A student failing in any or all Heads of a Term Examination shall be declared to have failed in the examination. He/she shall be allowed to re-appear in the failing Head(s) in the next examination, if otherwise eligible as per rules. (i) A student shall be promoted to the next higher term provided he/she has completed minimum attendance requirements and filled-up the examination form of regular examination and has also appeared in at least one of the Heads of the examination. (A Theory or Practical would be treated as separate Heads). (ii) A student shall be promoted to Second Year (Third Term) only if he/she has cleared at least 50% Heads (including minimum of 02 Theory papers of 1st Term of First Year) in First Term Regular Examination. Benefit of the fraction will be given to the student. (iii) A student shall be promoted to Third Year (5th Term) only if he/she has cleared at least 50% Heads (including a minimum of 5 Theory Papers) of First Year prior to start of classes of Fifth Term. Benefit of the fraction will be given to the student. (iv) A student will be promoted to Fourth Year (7th Term) only if he/she has cleared all Heads of First Year (First and Second Terms) and has also cleared 50% Heads (including minimum Five Theory Papers) of Second Year prior to start of classes of Seventh Term. (v) In case of Bachelor of Architecture, a student shall be promoted to 5th Year (9th Term) only if he/she has cleared all Heads of First Year and Second Year and has also cleared 50% Heads (including minimum 5 Theory Papers) of Third Year prior to start of classes of Ninth Term. The weightage mentioned above will be based on the %age of marks secured by the student in each year. (ii) A candidate who fulfills all the requirement for the Degree of B.E./B.CRP./B.ARCH. and secures 60% or more marks in all the Regular/Supplementary Examinations as mentioned above shall be declared pass in FIRST DIVISION and if secures 50% or above marks shall be placed in SECOND DIVISION. (iii) In the University Pass Certificate/Transcript, a foot note shall be added that Division has been awarded on Year-wise weightage as per 18. (i) above in the ratio of marks obtained from First to Final Year Regular/Supplementary Examinations. (iv) The students admitted directly in Second Year (01-Batch & onwards) at this University on the basis of B.Sc (Industrial Technology/B.Tech. (Pass) shall be awarded adjusted marks of the exempted subjects of B.Sc (Industrial Technology)/B.Tech. (Pass). The adjusted marks shall be determined by the following committee and entered in the Examination record along with the marks obtained in the additional subjects for calculation of the weightage percentage. The Dean of the Faculty concerned Convener. The Chairman/Director,Co-Director, Member of the concerned Department/Institute. The Controller of Examinations Member. The above methodology shall also be applicable for the students admitted directly in Second/Third year at this University on migration from any other Institution recognized by Higher Education Commission. (i) Faculty Position in Engineering shall be awarded to a candidate from amongst the 1st Position Holders of each discipline who secures the highest weighted %age marks as per criteria prescribed in clause 18 (i). (ii) Faculty Position in Architecture and City & Regional Planning shall be awarded to a candidate from amongst the 1st Position Holders of appropriate batches of Architecture and City & Regional Planning who receive the degree in the same year and secures the highest weighted %age marks as per criteria prescribed in 18 (i). (i) Three Merit Positions shall be awarded in each discipline on the highest percentage of marks based on weightage as prescribed in 18 (i) in all Regular Examinations First to Final Year (1st attempt ). The candidates having declared pass in 1st attempt with admissible grace marks as per rules are also eligible for the award of said three Merit Positions (applicable from 01-Batch and onwards). (ii) The students who are directly admitted in Second/Third Year at this University on the basis of B.Sc (Industrial Technology)/B.Tech. (Pass)/Migration shall also be considered for award of merit positions if they have cleared all the exempted subjects in 1st attempt at their respective Institution, have appeared in the determined additional subjects and cleared the same at this University in First chance. A student shall be awarded degree of Bachelor of Engineering (B.E.) or Bachelor of City & Regional Planning (B.CRP.) or Bachelor of Architecture (B.Arch.) only after he/she has passed the examinations and cleared all the Heads of all the Terms within the maximum period of 07 (seven) Calendar years for B.E. and B.CRP. and 08 (eight) Calendar years for B.Arch. (i) The benefit of grace marks of up to 05 marks in each Term will be given to a candidate who has taken the examination and who, but for this benefit, would have failed in the examination. These marks may be distributed over the various Heads of passing and shall not be added physically. However, the benefit of grace marks mentioned above shall be allowed optional and as such the concerned candidate(s) shall be allowed the chance ONCE to re-appear in the condoned subject(s) by declaring Fail in such subject(s). Accordingly, the concerned candidate shall have to submit such option in writing through the Director, Co-Director/Chairman of the concerned Institute/Department. The option once exercised shall be deemed as final. In such cases, the candidate(s) shall have to deposit the prescribed fee for permission along with his/her option in addition to examination fee as admissible under the rules. However, if the candidate(s) who is/are allowed such optional permission fails to pass the concerned subject(s) after re-appearing in the examination, he/she will retain his/her previous result. (ii) The benefit of grace marks of up to 05 marks, will be given to a candidate who, but for this benefit, would have been placed in lower Division in the examination. These marks shall not be added physically. Terms of B.CRP. The Director, Co-Director/Chairman of the Institute/Department, the concerned teacher of the Project together with the External Examiner shall constitute the Viva-Voce Committee. (ii) The comprehensive Viva-Voce/Jury of the Research and Development Project-I and II (thesis) for B.Arch. shall be held after the completion of 9th & 10th Terms respectively. (iii) The Chairman of the department, at least one Senior Teacher, the concerned teacher of the project together with at least one External Examiner shall constitute the Jury. (iv) a. Sessional marks out of 50 shall be given solely by the Supervisor concerned only, which should be decided on the student’s degree of involvement and contribution in the project. Thesis Evaluation and Viva-Voce shall be out of 150 marks. The distribution shall be as under. The Internal Examiner, the External Examiner and the Director, Co-Director/Chairman concerned will each award out of 50 marks.Thesis marks will be sent to the office of the Controller of Examinations in separate sealed envelopes.In case of Director, Co-Director/Chairman being Internal Examiner, the External Examiner will award out of 100 marks. A student who has failed in the Viva-Voce/Jury shall be given the benefit of appearing again in the same examination only ONCE. The time limit for checking the answer scripts shall be 20 Scripts per day plus one week; unless specified. Re-totaling of the marks shall be done on payment of prescribed fee per paper for a candidate who submits an application to the Controller of Examinations, through the Director, Co-Director/Chairman of the concerned Institute/Department within two weeks from the date of announcement of result. These regulations are subject to modification by the competent University authorities as may be felt appropriate from time to time.